"In the last two years, we have had organic mangoes and avocados for 52 weeks of the year." Four years ago, Jeffrey Moret decided to go into business for himself. He chose to establish himself in the organic fresh fruit and vegetable sector. "We did not have a year when we did not experience growth", says the owner of TOFF. This company is located in the Dutch town of Barendrecht. "We have given the big boys a good run for their money. We have had quite a number of staff changes. Despite this, I have always stuck to my vision. Fortunately, the results have been good." Over the past two years, in particular, TOFF has been investing heavily in international trade. "In two years, products from our small production groups such as mangoes and avocados have become top 5 products. These are not only organic. All these products are also GlobalGAP and GRASP certified." "I can say we supply the high-end retail stores in the countries surrounding us. Over the past two years, we have provided our clients with mangoes and avocados for 52 weeks. This, without a single gap. Sometimes we had to pay world prices for a box of avocados. This, however, meant we were able to fill our programs at all times," says Jeffrey, proudly. "At the moment, we are in the midst of the Peruvian mango season. It did not start off easily, due in part to strikes. However, our growers have recovered well, and we are receiving structural products. There was talk of a surplus, but the market recovered well." "The Peruvian season will likely continue until March. Then we will switch to our African mangoes. They come from countries including Burkina Faso. 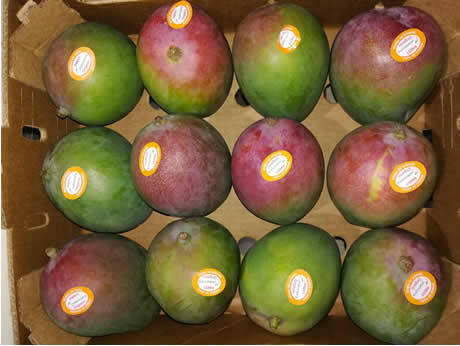 Supplemented by Spanish mangoes, we can provide for the demand of our clients all year long", explains Jeffrey. This organic importer also has a year-round program for avocados. "We even work with annual prices. We have Spanish avocados until April. From then we also get avocados from Peru. With these, supplemented by produce from Kenya, we can supply avocados year round too." Ginger is also one of TOFF's best sellers. "We are coming to the end of a difficult season in Peru. There was minimal product available. Luckily, we received structural supplies. This is because we have fixed agreements with our supplier. However, at a certain point, prices were at EUR40 or EUR50 per box." "Currently, we are selling the last of the Peruvian stock. Next week, we are expecting the first containers from China. I am expecting at least two containers per week until summer. I have good expectations", continues Jeffrey. The range of overseas top fruit has been part of TOFF's core assortment since the very beginning. "We usually have a lot of clientele for international organic apples and pears. At the end of February, we will start with the first Argentinian top fruit. We are expecting a higher number of containers." "Imported apples, in particular, were very expensive over this past year. I expect prices to be high again. However, I do not know if will reach last year's levels. We receive a pack with a wide range of varieties. These include Gala, Braeburn, Cripps Pink, and Red Delicious apples. Then there are also Williams, Packham, D'Anjou, and Forelle pears", Jeffrey concludes.